are taking advantage of the opportunities you aren't. 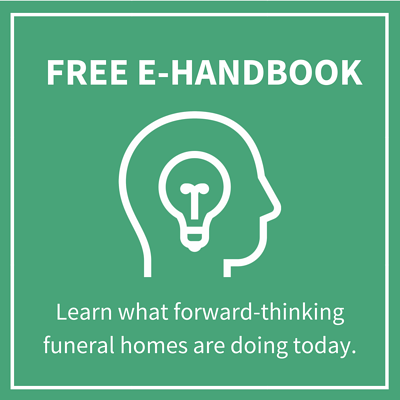 Learn what forward-thinking funeral homes are doing to prepare. When the Internet Generation faces a life problem, they use the Internet to solve it. Whether it’s planning a wedding, buying a house, or having kids. Every industry they’ve touched has been completely disrupted. Businesses who’ve embraced the radical shift in consumer behavior have done well. Those who weren’t able to adapt are no longer around. 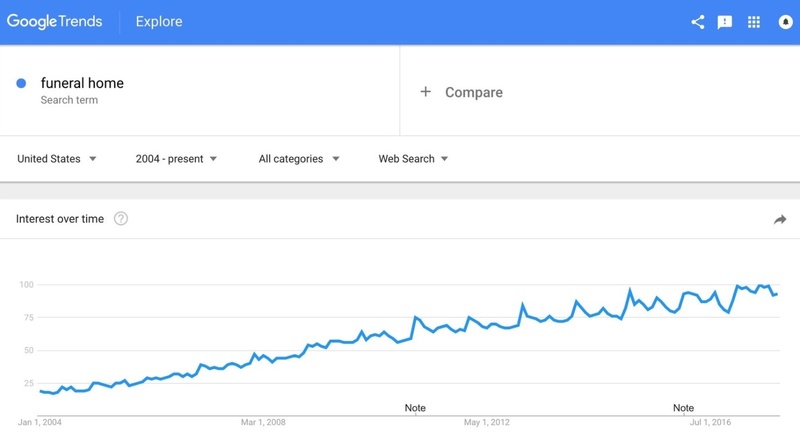 Today, those who have grown up with the Internet are now in their 30’s and 40’s. They’re worrying about finding caretakers for their aging parents and grandparents. Consumer preferences of the Internet Generation are now transforming the elderly care industry. Tomorrow, it’ll be the funeral industry. What are you doing to prepare? 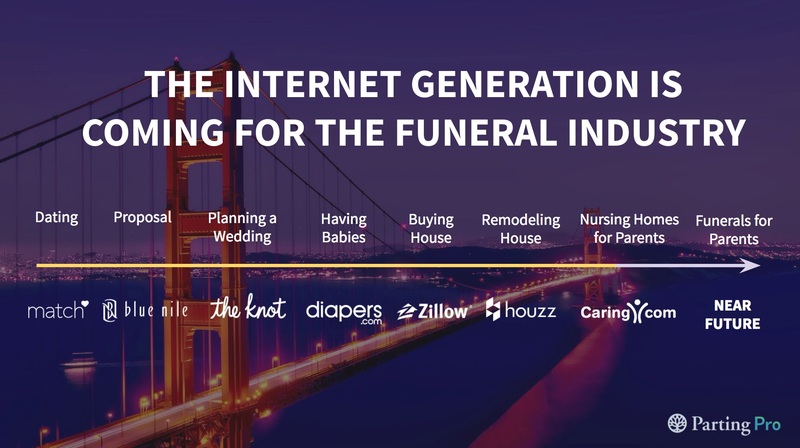 Where you market your funeral home. How you interact with potential customers. The way you manage your operations. ...and what to do about it! Price shoppers are looking for you on the Internet. How and where you get your new customers is going to change. 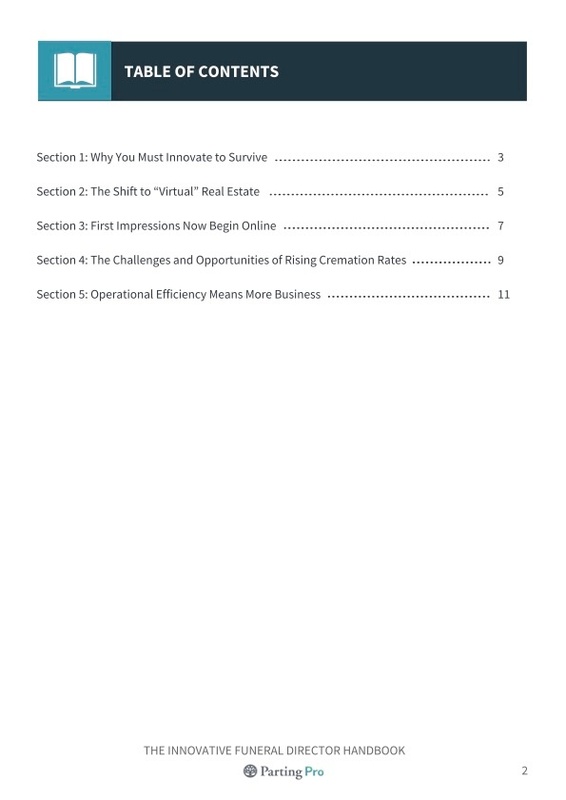 Establishing prime virtual locations is the key to beating the competition. 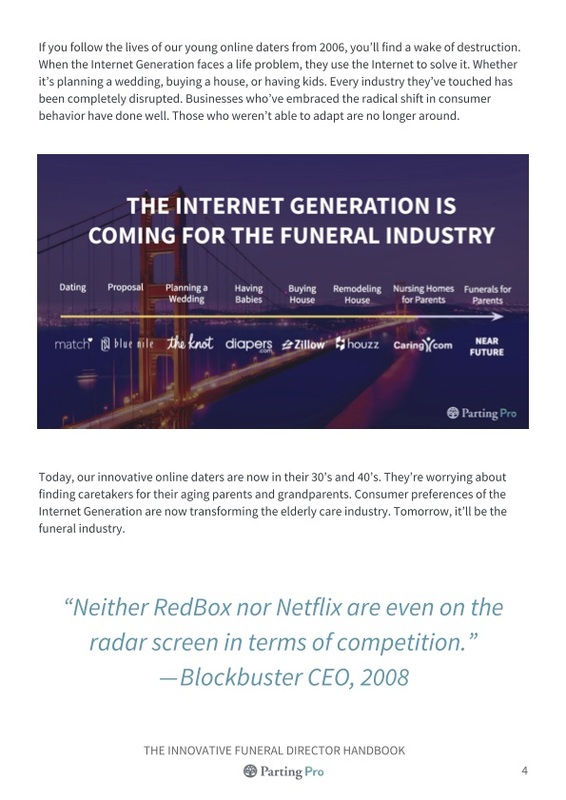 The goal is to be the first funeral home a potential customer sees anytime and anywhere they look online. 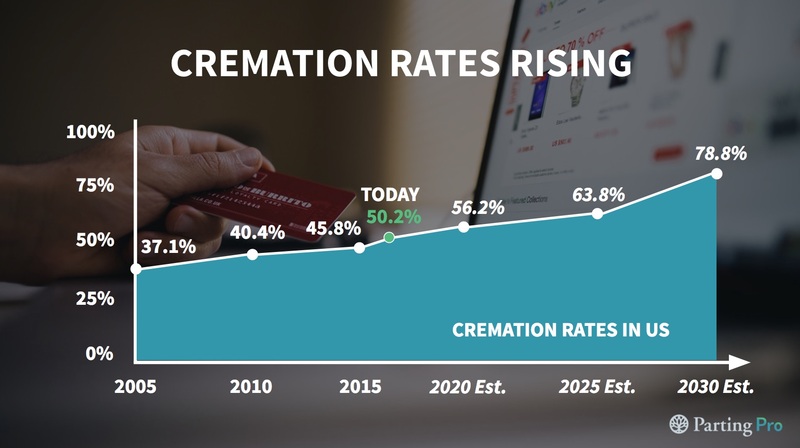 Cremation rates are drastically rising. In 2016, 50.2% of Americans chose cremation over burial. 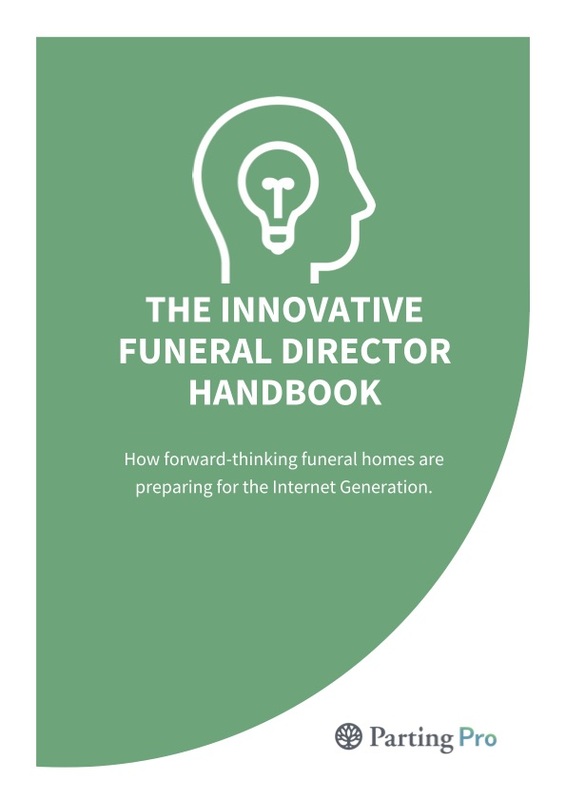 By 2035, NFDA projects the rate of cremation to reach 78.8%. Over the next eight years, cremation rates will likely exceed 50 percent in 44 states, up from 16 states in 2010. Learn the framework on how to think about these oncoming changes. We will always keep your personal information safe. We ask for your information in exchange for a valuable resource in order to (a) improve your browsing experience by personalizing the Parting Pro site to your needs; (b) send information to you that we think may be of interest to you by email or other means; (c) send you marketing communications that we think may be of value to you. Absolutely. Just sharing some free knowledge that we hope you’ll find useful. 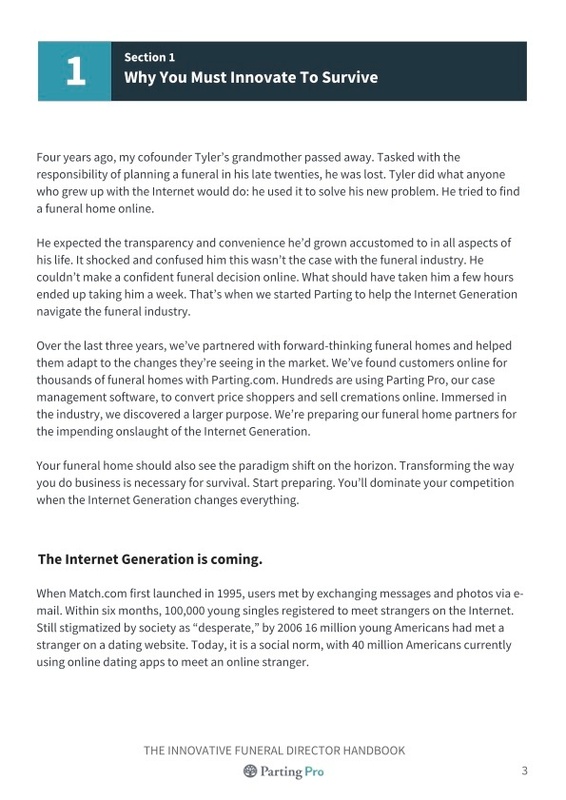 Keep us in mind next time you have questions about preparing your funeral home for the Internet Generation!